Fall colors at the end of September in Central Montana not only signal that winter is near, but also the fall rut for elk. In less than an hour’s drive from Lewistown (on Highway 191), you can watch hundreds of elk return to the Slippery Ann Wildlife Viewing area for their annual mating ritual. In this no hunting zone, bull elk compete for herds of cow elk and fend off competitors in sparring matches, while onlookers with binoculars and cameras enjoy the show. The Slippery Ann Wildlife Viewing Area is clearly marked along Highway 191 just north of the Fred Robinson Bridge over the Missouri River, and is one of the many jewels in the C. M. Russell Wildlife Refuge. If you want to get a good space along the gravel road, you will want to arrive at the viewing area no later than 5:30 PM. 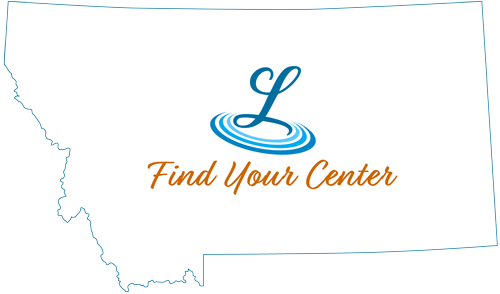 Bus trips are also available, sponsored by Central Montana Community Education, several times during the viewing season (phone 406-538-9022). It is not until dusk that the herds move from the fields behind the tree line into the viewing area along the road. Bugling by the bull elk begins to reach a fever pitch shortly before the herds begin to appear. One of the favorite spots to view the show is right below the makeshift camper area above the gravel road (a few miles from the turnoff at Hwy 191). Elk like to graze on the tall, golden-colored grass that appears to be plentiful in this section of the viewing area. You can expect to see 250 to 300 elk at the peak of the rut. Many locals bring chairs, food and drink to enjoy while they wait for the show to begin at dusk. By 8:00 PM it is too dark to see much of the activity, and the long line of cars begins to leave the area. Camping near the viewing area is also another option. There are free camp sites by the Slippery Ann viewing area, but if you are sensitive to dust you may want to opt for a campsite in James Kipp Recreational Park right across the river along Highway 191.